Satellite temperature readings show there has been no warming trend for nearly 18 and one-half years, meaning there has been no statistically significant warming since the late 1990s. Two satellite datasets show that warming has been more moderate than predicted by the United Nations and most climate scientists. The Remote Sensing Systems satellite dataset shows there has been a warming trend of only 0.01 degrees Celsius per century since December 1996. RSS shows the least amount of warming of the two main satellite temperature datasets, the other dataset is run by scientists at the University Of Alabama in Huntsville. Taken together, both datasets shows a warming trend of just 0.35 degrees Celsius (or 1.37 degrees per century) since 1990 – about half of what was initially predicted by the United Nations. “The RSS satellite dataset shows no global warming at all for 220 months from December 1996 to March 2014 – more than half the 435-month satellite record,” says Christopher Monckton, an English lord and noted global warming skeptic. Monckton has been researching and tracking global warming data for years. “The global warming trend since 1900 is equivalent to 0.8 Cº per century. This is well within natural variability and may not have much to do with us,” Monckton says. Satellites measure the lowest reaches of the Earth’s atmosphere and that data is formulated into temperature readings. Most government climate agencies, however, rely on land and sea surface temperature readings to come up with their global climate measures. While both measures have their setbacks, they both show that warming a has been much more moderate than predicted. A new study by Duke University researchers found that the world has not warmed as fast as previously predicted. Duke scientists found that “natural variability” has dominated the temperature record, causing observed changes in the temperature record from year to year. Researchers reconstructed a 1,000-year temperature record and “found that climate models largely get the ‘big picture’ right but seem to underestimate the magnitude of natural decade-to-decade climate wiggles,” said Patrick T. Brown, a doctoral student in climatology at Duke University. “Our model shows these wiggles can be big enough that they could have accounted for a reasonable portion of the accelerated warming we experienced from 1975 to 2000, as well as the reduced rate in warming that occurred from 2002 to 2013,” Brown said. Usually reliable allies for three liberal causes – renewable energy, environmental protection and labor unions – clashed recently over whether to grant a three-year extension for a wind farm in the Altamont Pass on the eastern fringe of the Bay Area. 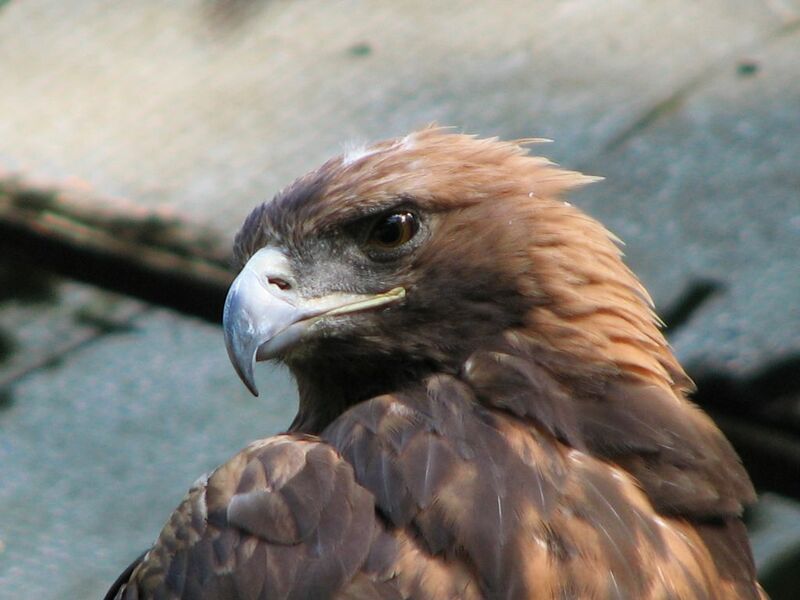 The Alameda County Board of Supervisors approved the extension for 828 wind turbines, despite concerns that they have killed thousands of birds, including golden eagles, over the past decade. According to a staff report, an additional 1,692 to 1,847 birds could be killed – including 15 golden eagles, 82 red-tailed hawks, 108 American kestrels and 142 burrowing owls – before the turbines are replaced with safer, more efficient models in late 2018. Altamont Winds Inc. officials deny that its turbines are the sole cause of the bird deaths. They told the supervisors at the March 24 hearing that many fatalities may have been caused by rodent poison put out by the California Department of Water Resources. Company officials also contend that mitigation measures, such as retrofitting PG&E power poles to prevent bird electrocution, along with the health benefits of wind power, will actually result in the saving of birds, including a net benefit of five or more golden eagles that might otherwise have perished if not for the wind farm. But the dozens of environmental activists and bird lovers who spoke at the meeting weren’t buying those arguments. “For years when I’ve gone past there, my heart has been broken when I’ve known about the piles of birds that have been massacred underneath those wind turbines,” said Nancy Friedman, who described herself as an environmental activist, passionate birder and union supporter. “I passionately believe in wind turbines. But there has to be a better way. The horrible siting of those turbines originally and the number of birds they have killed, that has to be stopped. That sentiment was echoed by Nancy Weninger, who is the conservation chair of the Mt. Diablo Audubon Society. “My father had a saying: fool me once – shame on you, fool me twice – shame on me. AWI already fooled you once obtaining a two-year extension in 2013, agreeing to shut down all of its turbines by the end of this year. They have made no significant progress toward repowering [with next-generation windmills]. And now they want to fool you twice by seeking another extension until 2018. “They have known for almost 10 years that they would need to shut down and replace their old turbines. In the meantime the birds have been paying the ultimate price. Hundreds of golden eagles, burrowing owls, American kestrels and red-tailed hawks have died while AWI dragged its feet on repowering and continued to profit from their old turbines. While most speakers were opposed to the extension, several labor union representatives argued for it, pointing out that the repowering will create union jobs. “The Bald and Golden Eagle Protection Act prohibits a variety of actions with respect to eagles, including unauthorized ‘take.’ Since January 2010 … approximately 31 unpermitted eagle fatalities have been recorded at AWI in the Altamont Pass Wind Resource Area. 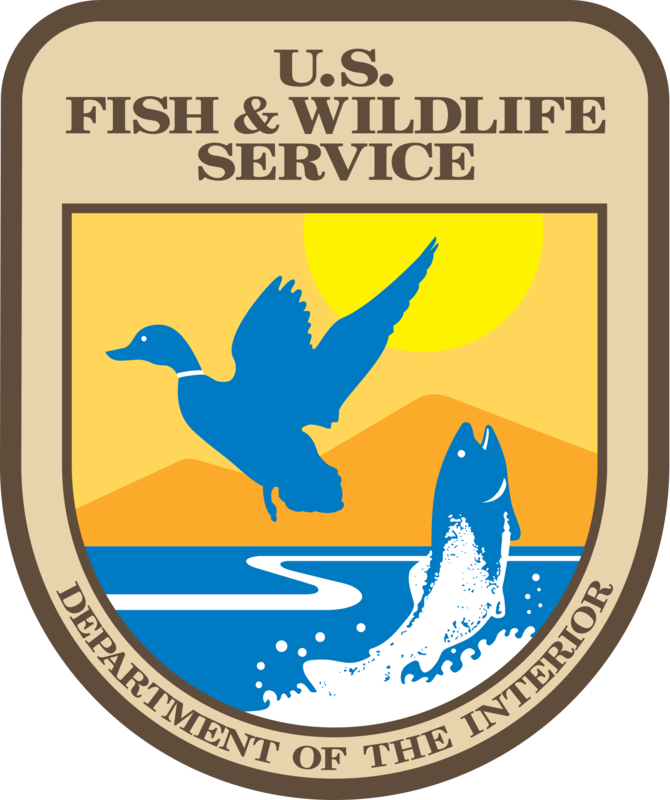 Although companies are not legally required to seek or obtain an eagle take permit, the take of an eagle without a permit is a violation of the Eagle Act, and could result in civil or criminal prosecution. AWI officials blamed California’s extensive environmental regulations for delaying the repowering project. “The process to obtain interconnection rights has prevented us from repowering as soon as we would like,” said AWI legal counsel Ashley Brown. “AWI has been working with the Cal ISO [California Independent System Operator] since 2012 to secure transmission and interconnection rights after repowering. We were ahead of schedule, only to be faced with the realization in 2014 that we would have to follow the two-year cluster study process, which won’t be complete until 2016. “Repowering is a complex process. And the Cal ISO interconnect study is only one step. Repowering is much more than taking down old wind turbines and putting up new ones. It is basically developing a brand new project. Koebbe concluded his presentation to the board by touting the benefits of his operation. “The benefits of this wind project include $100 million in economic benefits, about 40 high-skilled jobs, 75 union jobs,” he said. “Our clean wind power displaces/avoids 609 million pounds of greenhouse gas and toxic air pollutants. There we save and avoid $12 million in health costs, including premature death, heart attacks and asthma. The three supervisors who approved the extension echoed Koebbe’s remarks. Supervisor Richard Valle said he sides with jobs over birds. Twenty-three of AWI’s employees have 27 children, he said, basing that on a 1.2 child-per-parent ratio. Supervisor Nate Miley spoke for 15 minutes defending the three-year extension for AWI’s wind farm. He’s skeptical that the turbine blades are causing bird deaths. “I think everyone agrees that wind power is a good thing,” Miley said. “I don’t think there’s any disputing that. So what people are saying is that AWI is responsible for the avian mortalities. And I just find that incredulous. Because even when the turbines are turned off [in the winter], the birds are still dying. So I don’t understand why folks are putting all of that responsibility on AWI. It baffles me. “I’ve been on the side of supporting environmental issues. But I’ve also been on the side of supporting labor. I respect people’s right to advocate for their positions. I have a responsibility as an elected official to try to balance the equities and look at what I think is in the public good. And if I can’t make a determination that a company is responsible for all of the bird deaths that folks seem to attribute to them, it’s like you’re playing me for a fool. And I’m not going to be anybody’s fool. Wilma Chan, one of the two supervisors who voted against the extension, believes AWI has been too slow to fix its problems. The supervisors who voted for the extension may have been influenced by campaign contributions, according to a Contra Costa Times article. Since 2006 AWI has contributed $19,750 to board chair Scott Haggerty, $5,306 to Miley and $764 to Valle. The supervisors and a company official denied any connection between the contributions and the extension approval. The California Chamber of Commerce yesterday released a preliminary list of “job killer” bills to call attention to the negative impact that 16 proposed measures would have on California’s job climate and economic recovery, should they become law. Although we will be opposing a number of bills throughout this year, the ‘job killer’ list represents the worst of the worst. These proposals will unnecessarily increase costs on California employers that will likely lead to a loss of jobs. The list is preliminary. We expect to add more bills to the list in the coming weeks as legislation is amended, and we will periodically release “job killer” watch updates as legislation changes. Please track the status of “job killer” bills on www.cajobkillers.com or by following @CAJobKillers on Twitter. AB 357 (Chiu; D-San Francisco) Predictable Scheduling Mandate/Protected Leave of Absence — Imposes an unfair, one-size fits all, two-week notice scheduling mandate on certain employers that perform retail sales activity, and penalizes these employers with “additional pay” for making changes to the schedule with less than two weeks notice, and additionally imposes an unlimited, protected leave of absence from work as well as a broad new protected class of employees who are receiving public assistance or have an identified family member receiving such assistance. SB 3 (Leno; D-San Francisco/ Leyva; D-Chino) Automatic Minimum Wage Increase— Unfairly increases’ employers costs while ignoring the economic factors or other costs of employers by increasing the minimum wage by $3.00 over the next two and a half years with automatic increases tied to inflation. SB 406 (Jackson; D-Santa Barbara) Significant Expansion of California Family Rights Act — Creates less conformity with federal law by dramatically reducing the employee threshold from 50 to less than 5 employees and expanding the family members for whom leave may be taken, which will provide a California-only, separate 12 week protected leave of absence on both small and large employers to administer, thereby increasing costs and risk of litigation. SB 350 (de León; D-Los Angeles) Costly and Burdensome Regulations — Potentially increases costs and burdens on all Californians by mandating an arbitrary and unrealistic reduction of petroleum use by 50%, increasing the current Renewable Portfolio Standard to 50% and increasing energy efficiency in buildings by 50% all by 2030 without regard to the impact on individuals, jobs and the economy. ACA 4 (Frazier; D-Oakley) Lowers Vote Requirement for Tax Increases — Adds complexity and uncertainty to the current tax structure and pressure to increase taxes on commercial, industrial and residential property owners by giving local governments new authority to enact special taxes, including parcel taxes, by lowering the vote threshold from two-thirds to 55%. SB 684 (Hancock; D-Berkeley) Increased Tax Rate — Threatens to significantly increase the corporate tax rate on publicly held corporations and financial institutions up to 15% according to the wages paid to employees in the United States, and threatens to increase that rate by 50% thereafter, if the corporation or institution reduces its workforce in the United States and simultaneously increases its contractors. SCA 5 (Hancock; D-Berkeley) Lowers Vote Requirement for Tax Increases — Adds complexity and uncertainty to the current tax structure and pressure to increase taxes on commercial, industrial and residential property owners by giving local governments new authority to enact special taxes, including parcel taxes, by lowering the vote threshold from two-thirds to 55%. AB 356 (Williams; D-Santa Barbara) Limits In-State Energy Development — Jeopardizes high paying middle class jobs in resource extraction fields by severely restricting wastewater injections sites and requiring unnecessary monitoring of those sites. AB 1490 (Rendon; D-Lakewood) Limits In-State Energy Development — Drives up fuel prices and energy prices by imposing a de facto moratorium on well stimulation activities by halting the activity after an earthquake of a magnitude 2.0 or higher. SB 32 (Pavley; D-Agoura Hills) Halts Economic Growth — Increases costs for California businesses, makes them less competitive and discourages economic growth by adopting further greenhouse gas emission reductions for 2030 and 2050 without regard to the impact on individuals, jobs and the economy. SB 546 (Leno; D-San Francisco) Health Care Rate Regulation — Threatens employers with higher premiums and interferes with their ability to negotiate with health plans by imposing unnecessary and burdensome new reporting requirements on health plans and insurers in the large group market, and giving the Department of Managed Health Care and the Department of Insurance authority to modify or deny all rate changes in the large group market. AB 359 (Gonzalez; D-San Diego) Costly Employee Retention Mandate — Inappropriately alters the employment relationship and increases frivolous litigation by allowing a private right of action and by requiring any successor grocery employer to retain employees of the former grocery employer for 90 days and continue to offer continued employment unless the employees’ performance during the 90-day period was unsatisfactory. SB 576 (Leno; D-San Francisco) Stifles Mobile Application Technology Development — Stifles innovation and growth in the mobile application economy and creates unnecessary and costly litigation by mandating unnecessary, redundant and impractical requirements that will leave many current and future mobile applications unusable, with no benefit to the consumer. AB 244 (Eggman; D-Stockton) Private Right of Action Exposure — Jeopardizes access to credit for home mortgages, increasing the challenge to attract business to California because of high housing prices, by extending the homeowner’s bill of rights to others, thereby opening the door to more private rights of action. AB 465 (Hernández; D-West Covina) Increased Litigation — Significantly drives up litigation costs for all California employers as well as increases pressure on the already-overburdened judicial system by precluding mandatory employment arbitration agreements, which is likely pre-empted by the Federal Arbitration Act. SB 203 (Monning; D-Carmel) Lawsuit Exposure — Exposes beverage manufacturers and food retailers to lawsuits, fines and penalties based on state-only labeling requirements for sugar-sweetened drinks. Current policy solutions enacted to address California’s water crisis provide an object lesson in how corruption masquerading as virtue is impoverishing the general population to enrich a handful of elites. Instead of building freeways, expanding ports, restoring bridges and aqueducts, and constructing dams, desalination plants, and power stations, California’s taxpayers are pouring tens of billions each year into public sector pension funds – who invest 90 percent of the proceeds out-of-state, and the one big construction project on the table, the $100M+ “bullet train,” fails to justify itself under virtually any credible cost/benefit analysis. Why? Returning to the topic of water, a basic examination of the facts reveals the current drought to be a problem that could be easily solved, if it weren’t for powerful special interests who don’t want it to be solved, ever. Here’s a rough summary of California’s annual water use. In a dry year, around 150 million acre feet (MAF) fall onto California’s watersheds in the form of rain or snow, in a wet year, we get about twice that much. Most of that water either evaporates, percolates or eventually runs into the ocean. In terms of net water withdrawals, each year around 31 MAF are diverted for the environment, such as to guarantee fresh water inflow into the delta, 27 MAF are diverted for agriculture, and 6.6 MAF are diverted for urban use. Of the 6.6 MAF that is diverted for urban use, 3.7 MAF is used by residential customers, and the rest is used by industrial, commercial and government customers. Put another way, we divert 65 million acre feet of water each year in California for environmental, agricultural and urban uses, and a 25 percent reduction in water usage by residential customers will save exactly 0.9 million acre feet – or 1.4 percent of our total statewide water usage. One good storm easily dumps ten times as much water onto California’s watersheds as we’ll save via a 25 percent reduction in annual residential water consumption. One way to increase California’s supply of fresh water is to build desalination plants. This technology is already in widespread use throughout the world, deployed at massive scale in Singapore, Israel, Saudi Arabia, Australia and elsewhere. One of the newest plants worldwide, the Sorek plant in Israel, cost $500 million to build and desalinates 627,000 cubic meters of water per day. That means that five of these plants, costing $2.5 billion to build, could desalinate 1.0 million acre feet per year. And since these modern plants, using 16″ diameter reverse osmosis filtration tubes, only require 5 kWh per cubic meter of desalinated water, it would only require a 700 megawatt power plant to provide sufficient energy to desalinate 1.0 million acre feet per year. Currently it takes about 300 megawatts for the Edmonston Pumping Plant to lift one MAF of water from the California aqueduct 1,926 ft (587 m) over the Tehachapi Mountains into the Los Angeles basin. And that’s just the biggest lift, the California aqueduct uses several pumping stations to transport water from north to south. So the net energy costs to desalinate water on location vs transporting it hundreds of miles are not that far apart. The entire net urban water consumption on California’s “South Coast” (this includes all of Los Angeles and Orange County – over 13 million people) is 3.5 MAF. Desalination plants with capacity to supply 100 percent of the urban water required by Los Angeles and Orange counties would cost under $10 billion, and require 2.5 gigawatts of electric power. These power stations could also be built for under $10 billion. Imagine that. For $20 billion in capital investment we could provide 100 percent of the fresh water required by nearly all of Southern California’s urban water users. For around $50 billion, 100 percent of California’s urban water requirements, statewide, could be financed – the desalination plants and the power stations. California’s taxpayers are currently condemned to shell out at least 500 billion dollars over the next 20-30 years so a train that hardly anyone will ride will careen through expropriated land, and pension funds can invest 90 percent of their assets out-of-state so public sector employees can retire 10-15 years early with pensions that are 3-5 times greater than Social Security. For less than one-tenth of that amount, we can solve our water crisis by investing in desalination. Why not, environmentalists? We’re willing to carpet the land with solar farms, exterminate raptors with the blades of wind turbines, and incinerate the rain forests to grow palm oil – all financed by selling carbon emission permits. Why not disburse brine offshore, where the California current will disburse it far more efficiently than any desalination plant situated on the Mediterranean Sea? Carly Fiorina is blaming liberal environmentalists for what she calls a “man-made” drought in California. “It is a man-made disaster,” Fiorina, who is “seriously considering” a run for president in 2016, told the Blaze Radio on Monday. This week Governor Jerry Brown proclaimed that “a historic drought calls for unprecedented action,” when handing down the latest executive order instating mandatory statewide water restrictions aimed at conserving 1.5 million acre feet of water over the next nine months. This ambitious “first-time-in-state-history” action and goal is admirable, one I wish can be achieved. But do more laws or in this case, a set of 31-point executive directives, create or even free up more water? A suggested goal of 20 percent reduction of water use last year was never achieved, despite gallant efforts made by communities statewide. So now, well into the fourth year of drought, the governor now ups the ante with a 25 percent statewide conservation mandate. In doing so, he has opened the door for a myriad of programs, restrictions and regulations to be administered by the bureaucratic, increasingly powerful and gubernatorial-appointed State Water Resource Control Board (SWRCB). Heat index charts and pictures of empty reservoirs and barren Sierras emphasize the need for all of us to conserve; respecting the resource and what it does in our lives remains essential. But the ongoing preoccupation on the rules, rule breakers and potential punishment is nothing more than a distraction. While treating the symptoms of drought are important, what must really occur is a concerted effort to cure the disease – in California this means dilapidated infrastructure, undersized reserves, ineffective water policy and dysfunctional, non-scientific environmental regulations. What is certain is that Governor Brown’s latest executive order clearly expands the authority of the SWRCB over all surface and ground water use, health, data, movement, pricing, program enforcement and punishment. Regional and community water authorities are now left scrambling to develop as yet unknown compliant water management criteria to avoid unknown penalties. But the most powerful tool for the SWRCB lies in its authority to determine beneficial use. This means the board gets to decide what water can be used where, when and how on a case by case basis. The order imposes requirements on farm water users; ratcheting up farm water use reporting mandates, the failure of which is punishable by the state. Suspending reality, environmental activists issued statements slamming the order for exempting agriculture from 25 percent conservation requirements. They ignore the fact that farmers have been hit hard repeatedly over the past four years and have met their conservation requirements. Increasing consumer prices on domestic produce by estimated 10-25 percent, and taking a 4% loss in production value. Asking a farmer to conserve 25 percent of zero, while you can’t figure out what day to turn your sprinklers on, , is an insult to your intelligence, not theirs. Zero from zero is zero. All these orders and actions are like the proverbial image of rearranging deck chairs on the Titanic. You can’t put a bandage on a gashed jugular and expect to survive. Our crisis won’t be avoided by conserving, we must tackle the problem head-on if California is to provide equitable and reliable water supplies to families, farms and fish. The real question is “what kind of future does California want to have?” One that continues the tradition of the last century, fostering innovation and growth or one that says the Golden State’s glory days are past, so simply maintain status quo. Establishing water supply reliability provides opportunity for prosperity and growth for all. True power doesn’t come from regulation, but from solutions and commonsense. 2) Revamp our 50-year-old water and environmental protection policies to accurately identify and address our 21st century concerns. We need to employ 21st Century science, technology and modeling tools to achieve attainable and sustainable results for the health of all California. Conservation and regulation sound good at a press event. But the reality is those approaches are woefully inadequate at solving California’s root problems. California governor Jerry Brown had little choice but to issue a belated, state-wide mandate to reduce water usage by 25 percent. How such restrictions will affect Californians remains to be seen, given the Golden State’s wide diversity in geography, climate, water supply and demography. Victor Davis Hanson is a City Journal contributing editor. Senator Kevin de Leon, the same Los Angeles State Senator who proclaimed that “no one lives out there in the tumbleweeds” when referring to the Central Valley, has proven that he still doesn’t understand the realities faced by hardworking people who live here. His recent op-ed in the Fresno Bee pitching Senate Bill 350 was an unconvincing argument for an economy-stifling nightmare that might excite people living in San Francisco or Newport Beach but would actually be a burden to people living in the Central Valley. This irresponsible mandate includes plans to force cuts to gas and diesel use by 50 percent, as well as increase renewable energy 50 percent in the next 15 years. Many people in the Central Valley, like thousands of farm workers who Senator de León says he is trying to help, have no choice but to gas up and drive long distances to and from work. Any small improvements to the environment would be overshadowed by the strangulation of the oil and gas industry, not to mention the financial impacts on every driver in this state as the cost of filling up cars, trucks or tractors skyrockets. Families who have chosen to make their living in the Central Valley don’t have the mass transit options like those in the Bay Area and the great majority certainly don’t have the extra cash to spend on a new hybrid or electric car. Had Senator de Leon bothered to concern himself with the differences between the Central Valley and L.A. or the Bay Area he would know that one-third of all electric vehicle owners in California live in just two counties: Los Angeles and Santa Clara. Less than one percent live in the Valley’s two most populated counties: Fresno and Kern, according to the California Air Resources Board. And almost 70 percent of these elusive, electric car owners make more than $100,000 a year – far more than Fresno County’s median annual income of $45,500. Californians are struggling to afford the highest cost of living in the nation thanks to high taxes, regulations and a growing dependence on new fees like those collected from cap-and-trade. We must continue to be wary of plans intended to help save the environment that aren’t based in reality and don’t offer any markers for success. California’s families, farmers and business owners can’t afford to foot the bill for Senator de Leon’s extreme energy and environmental policies. Assemblyman Jim Patterson represents the 23rd District, which includes portions of Fresno and Tulare counties. Call it the Tesla Effect. Good news — so far — for California’s successful electric-vehicle maker and others in the industry. 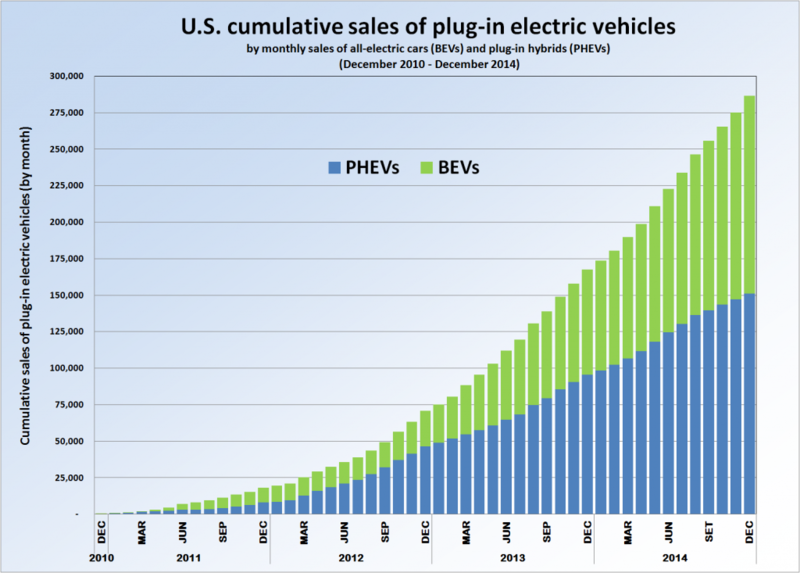 At least through last November, the low gasoline prices of recent months have not crashed electric vehicle sales. The chart on their site shows national gas prices jumping up and down from 2011 through Nov. 2014, from lows of around $3 a gallon to highs of nearly $4. California prices have been about 10 percent to 15 percent higher than national prices. However, a caution light comes from Robert Poole, director of transportation policy at the Los Angeles-based Reason Foundation. “We are now seeing gas prices far below the data for 2013 and 2014, so all bets are off in terms of the impact on hybrid and EV sales impact,” he told CalWatchdog.com. Long-term data to come out in future months will tell the story. “Sales of new cars and trucks roared off to a fast start in January, towed by Americans’ renewed love affair with trucks and SUVs as low fuel prices mean the gas-thirsty models aren’t so expensive to fill up. “Jeep, again, was the star, posting its best-ever monthly sales and recording a 44% increase by the compact Jeep Cherokee SUV. “Patriot, smaller than Cherokee and on the market since the 2007 model, found new buyers somewhere, and recorded a 35.6% gain. “Ram pickup was up 14%. “Chrysler has become largely a truck and SUV company — 72.5% of its sales — while its cars are an almost incidental 27.5%. These numbers likely only would hold so long as gas prices remain low. If the history of fluctuations once more arcs upward, then gas-powered vehicles again could come into disfavor. “Those amazingly low gas prices that soothed motorists for the past few months will soon be in the rearview mirror: Pump prices have jumped a dime or more in the past week and are expected to soar another 30 to 50 cents a gallon by April. California’s situation is unique because of special state fuel requirements, including the conversion, going on now, to more expensive summer fuel. And the state is working out how much the new tax for the cap-and-trade program will cost. On the other hand, Citigroup economists expect the oil price decline to continue, or at least not to rise.